Are you planning to be at the LICENSING SHOW? Please feel free to fill out the form below. We look forward to meeting with you! EDGE Americas Sports Announces Agreement With Celtic F.C. THE LATEST NEWS FROM EDGE AMERICAS SPORTS INC.
As creators of the finest licensed football fan merchandise in the world, the founders of EDGE Americas Sports rocketed the industry forward. For more than ten years, the founders have represented the most heralded football brands in Europe, Mexico and Brazil and the most prestigious tournaments in the game. Our creative, sales and licensing people are experts in their fields. We’ve lived on four continents we’re fluent in five languages, and we call hundreds of licensees and retailers our good friends. Please consider joining us on the licensing pitch. “Dream even bigger…” as the Club has chartered a course of history making wins as the 2016 season wraps up. From one of the greatest cities in the world, Paris, embodying football, art, fashion and so much more. A.C. Milan is one of the world's most cherished and celebrated soccer brands. With 18 Serie A Titles and 7 Champions League Trophies among others, A.C. Milan is a European standout. Seasons and jerseys change, players come and go, but Juventus is always resplendent Winning an incredible fifth straight league title in 2016, the 34th of its glorious history and so much more. Since that Dial Square team played its first match against Eastern Wanderers in 1886, Arsenal has gone on to become one of London's most successful football clubs and one of the most famous names in modern football with millions of passionate followers worldwide. Celtic F.C. is the #1 Scottish football club with proud Irish links. The winningest Club ever in Scotland, Celtic F.C. boasts 48 Scottish League Championships, 36 Scottish Cup wins and a European Cup victory. The familiar Emerald green and white hooped jerseys are recognized by fans around the world. One of the most prestigious soccer clinics in the United States and selected countries around the world. 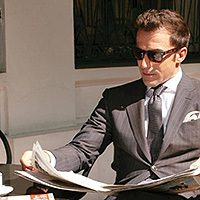 Brought to you by the Italian football legend and World Cup champion Alessandro Del Piero. “For the first time ever as part of the ADP10 Football Academies you or your youngster can win a private group training session with Alessandro Del Piero”. VESPA, the premium Italian lifestyle two-wheeler brand, proudly announces ALESSANDRO DEL PIERO, as its world-wide Brand Ambassador. ALESSANDRO DEL PIERO is a legendary football player and winner of the 2006 FIFA World Cup with the Italian team. 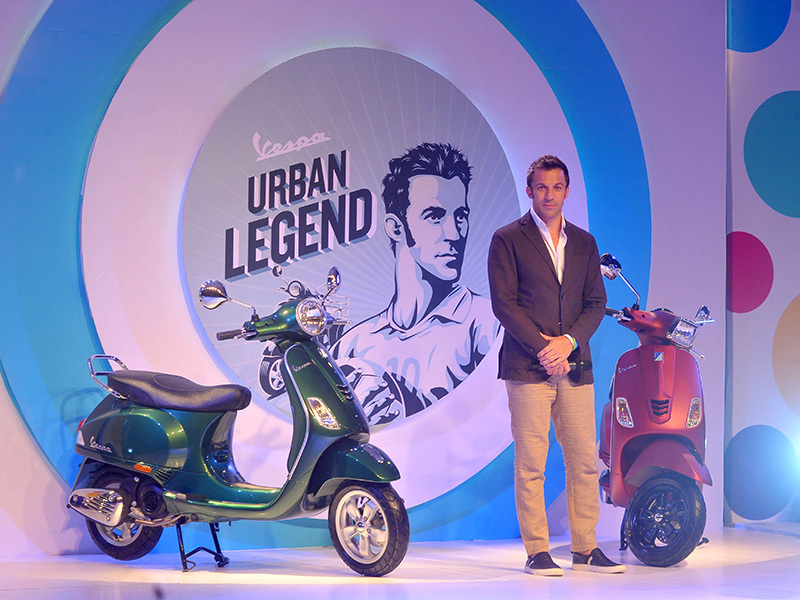 ALESSANDRO DEL PIERO will pay visit to India on 1st of September, for a spectacular VESPA event. The event will be a special day for all VESPA lovers and football lovers to gather and celebrate with their idol in real time. The VESPA event will start with various activities, interactions with media and Vespa fans from the morning till the afternoon of 1st September. The booming moment will be the VESPA - ALESSANDRO DEL PIERO exclusive cocktail party in the evening, where number of VESPA lovers and football fans will gather to celebrate these two Italian icons. Commenting on this new association, Mr. Stefano Pelle, Managing Director, Piaggio India said, “We are very excited to have Alessandro Del Piero join the Vespa family here in India. 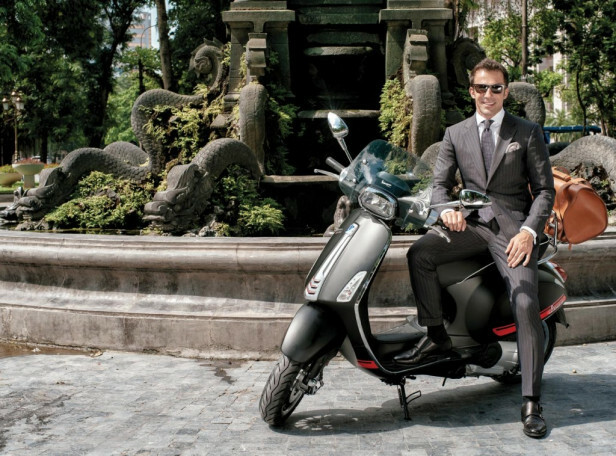 Vespa and Alessandro Del Piero have many things in common, two worldwide famous Italian symbols recognized for their successes and profound impact on public opinion. 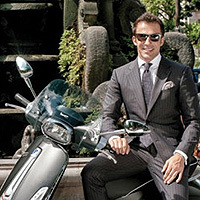 Moreover both Vespa and Alessandro Del Piero show a very classy elegance, a contagious spirit of freedom and the ability to move people’s emotions, bodies, and beliefs”. Over decades, VESPA has been applauded as one of Italy’s design and cultural icon all over the world. With the presence of ALESSANDRO DEL PIERO -one of the best Italian football players of all time- this is a meet between two legends globally recognized for style, quality and Italian excellence. 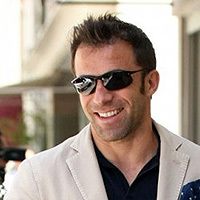 The former Italy international used to dazzle supporters with his moves on the pitch but it’s Alessando Del Piero’s ability on the dancefloor which now has fans excited. 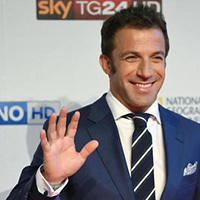 Italian lifestyle two-wheeler brand, Vespa has announced football player Alessandro del Piero, as its worldwide brand ambassador. Plain and simple, our focus is football. Our singular aim is to create the most inspired consumer products available anywhere in the market — products that add to the celebration and emotion of that one moment, beautifully designed and abundantly available. 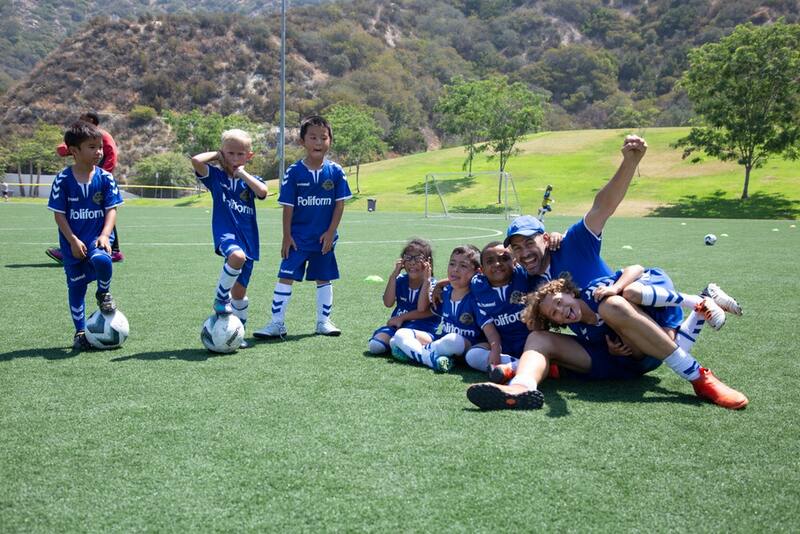 We license consumer products for championship football teams and tournaments. It’s what we do. Our founders and team built the marketplace for these products ten years ago. We were the authors. Our staff lives and works inside the lines, inside the game. Our tools, processes, creative, communications and desire to excel are best in class. If you are a brand owner or a licensee: welcome! Join us on this incredible journey. We are focused on introducing youngsters to European style training and professionally designed programs from World Cup Champion Alessandro Del Piero. To that end, we have launched our ADP10 football academy and clinics. Check it out in the Soccer Clinics Section. We held clinics in Australia in January, we are in America in July and August and back down under after the first of the year 2016. EDGE Americas Sports, co-founded by World Cup Champion Alessandro Del Piero, and hummel USA are pleased to announce a multi-year agreement whereby hummel USA is appointed as ADP10 Football Academy’s exclusive worldwide technical sponsor and equipment supplier. In the middle of A.C. Milan's successful 2015-2016 Serie A campaign and growing online sales in the Americas, EDGE Americas Sports will expand the A.C. Milan brand and licensing program throughout North and South America. On the heels of Paris Saint-Germain’s successful North America Summer Tour and with growing online sales in the U.S., EDGE Americas Sports will expand the Paris Saint-Germain brand and licensing programming in North America. With Real Madrid C.F. and Juventus F.C. Want to represent the most successful brands in professional football? Contact us today to learn how you can start licensing products through EDGE Americas Sports, Inc.
© 2019 EDGE Americas Sports, Inc. All rights reserved. EDGE Americas Sports co-founded by World Cup champion and Italian soccer great Alessandro Del Piero and industry veteran Jeffrey Whalen. March 23, 2016 (Los Angeles, California) – EDGE Americas Sports, a Los Angeles-based sports and marketing agency, has been appointed by adidas Italia and global soccer powerhouse A.C. Milan to expand their brand presence and ambitious licensing program across the Americas from Canada south to Argentina. EDGE Americas Sports will create a wide array of officially licensed consumer products for the Italian champions. A.C. Milan is one of the world's most cherished and celebrated soccer brands and in 2015-2016 is once again challenging the Serie A leaders. "The EDGE Americas Sports team of experts in licensing was first on the scene in creating a tremendous market for A.C. Milan fan merchandise in the Americas and around the world," said Jeffrey Whalen, Co-Founder of EDGE Americas Sports. "I am really pleased that we can build on our relationships with so many licensees and retail partners around the Americas in once again delivering the very highest levels of creativity, expertise and passion for A.C. Milan fan merchandise." EDGE Americas Sports is a sports and marketing agency focused on consumer products licensing, soccer clinics, sponsorship and promotions. The agency was created with a singular aim to create the most inspired merchandise anywhere in the market — products that add to the celebration and emotion of that one moment, and currently licenses consumer products for championship football teams. The founders and team helped build the marketplace for these products 12 years ago when at Warner Bros. Consumer Products. The Agency has offices in Los Angeles, Torino, and representatives in New York City, Mexico City, Sao Paulo and Santiago. Learn more at www.edgeamericas.com. September 9, 2015 (Los Angeles, Calif.) – EDGE Americas Sports, a Los Angeles-based sports and marketing agency, has been appointed by French and global soccer powerhouse Paris Saint-Germain to expand their brand presence and ambitious licensing programme principally in Canada and in the United States. EDGE Americas Sports will especially create a wide array of officially licensed consumer products for the French champions. Paris Saint-Germain is one of Europe’s fastest-growing soccer brands and in 2015 strengthened the top 10 position that it had achieved the previous year. The 2015 summer tour in Canada and in the USA has demonstrated its new popularity with the Club winning the International Champions Cup against top European rosters. Co-founded by World Cup champion Alessandro Del Piero and industry veteran Jeffrey Whalen, EDGE Americas Sports is a Los Angeles-based sports agency focused on consumer products licensing, soccer clinics, promotions and marketing. The consumer products licensing team at EDGE Americas Sports is actively signing agreements with some of the world’s top sotflines and hardlines manufacturers to get officially licensed products into the market for the 2015-2016 European soccer season. On the pitch: The team has secured the French title and reached the quarter-finals of the UEFA Champions League for 3 years in a row. Away from the pitch: annual revenue has quintupled, reaching 474 million € in 2014, while sponsorship income has increased almost tenfold. June 8, 2015 (Los Angeles, Calif.) – EDGE Americas Sports, a Los Angeles-based sports and marketing agency, has been appointed by soccer giants Real Madrid C.F and Juventus F.C. to expand their brand presence in Canada, the United States and Latin America in select cases. EDGE Americas Sports has signed representation agreements with these clubs, as well as another UEFA Champions League contending club, to create a wide array of officially licensed consumer products. EDGE Americas Sports will continue to pursue representation agreements with several other championship caliber soccer clubs. Co-founded by World Cup champion Alessandro Del Piero and industry veteran Jeffrey Whalen, EDGE Americas Sports is a Los Angeles-based sports agency focused on consumer products licensing, soccer clinics, promotions and marketing. The agreements will provide soccer fans with a large selection of merchandise to celebrate every moment and every victory. The expert team at EDGE Americas Sports is building strategic relationships with key retail partners to deliver an unprecedented shopping experience for those fans. "We are very pleased to have signed representation agreements with these championship caliber clubs," said del Piero, who led Juventus F.C and the Italian National Team to a record number of titles. "It is my belief that soccer in the United States and the Americas will see dramatic growth in the next 10 years and that EDGE Americas Sports can be a tremendous catalyst in creating high levels of fan engagement, brand recognition and new fans." Real Madrid F.C., which was named the Best Club of the 20th Century, is one of the most widely supported teams in the world as well as one of the most valuable. In international play, it has won a record 10 UEFA Champions League titles, shares the record for three Intercontinental Cups, two UEFA Cups, two UEFA Super Cups and a FIFA Club World Cup Championship. Domestically, Real Madrid F.C. has captured 32 La Liga titles and 19 Copa del Rey victories. Juventus F.C. is the most successful team in Italian football history. In international play it has captured two Intercontinental Cups, two UEFA Champions Leagues, one European Cup Winner’s Cup, three UEFA Cups, one UEFA Intertoto Cup and two UEFA Super Cups. Domestically, Juventus F.C. has a league leading number of Serie A titles (33) and a record 10 Italian Cups. EDGE Americas Sports’ agreement with Juventus F.C. goes into effect July 1, 2015. "The EDGE Americas Sports team of licensing experts was first on the scene in creating a tremendous market for soccer fan merchandise in the Americas and around the world," said Jeffrey Whalen, Co-Founder of EDGE Americas Sports. Whalen brings extensive high-level experience in consumer products, international sports and entertainment to EDGE Americas Sports having previously served as a VP at The Walt Disney Company and a Senior VP at Warner Bros. "I am really pleased that we can build on our relationships with so many licensees and retail partners around the Americas in delivering the very highest levels of creativity, expertise and passion for the game." EDGE Americas Sports is a sports and marketing agency focused on consumer products licensing, soccer clinics, sponsorship and promotions. The agency was created with a singular aim to create the most inspired merchandise anywhere in the market – products that add to the celebration and emotion of that one winning moment. EDGE Americas Sports currently licenses consumer products for European championship football teams. The agency has offices in Los Angeles, Torino, and representatives in Mexico City and Sao Paulo. Learn more at www.edgeamericas.com. May 19, 2017 (Los Angeles, Calif.) – EDGE Americas Sports, a Los Angeles-based sports and marketing agency, has been appointed by soccer giant Celtic F.C. to expand their brand presence in Canada and the United States. EDGE Americas Sports has signed representation agreements with Celtic F.C., as well as other UEFA Champions League contending clubs, to create a wide array of officially licensed consumer products. The agreement will provide soccer fans with a large selection of merchandise to celebrate Celtic F.C.’s every moment on the pitch. ”This is an unparalleled moment for Celtic F.C. to expand our merchandise and brand presence in North America as the Club celebrates its sixth title in a row as crowned champions in the Scottish Premiership. We’re delighted to be working alongside Edge Americas Sports in this important initiative” said Kevin Cawley, Celtic F.C. Celtic F.C. is a professional football club based in Glasgow, Scotland, which plays in the Scottish Premiership. The club was founded 129 years ago. Celtic have won the Scottish League Championship on 48 occasions, most recently in the 2016–17 season, the Scottish Cup 36 times and the Scottish League Cup 16 times. The club's greatest season was 1966–67, when Celtic became the first British team to win the European Cup. EDGE Americas Sports is a sports and marketing agency focused on consumer products licensing, soccer clinics, sponsorship and promotions. The agency was created with a singular aim to create the most inspired merchandise anywhere in the market – products that add to the celebration and emotion of that one winning moment. EDGE Americas Sports currently licenses consumer products for European championship football teams. The agency has offices in Los Angeles, Torino, and representatives in Mexico City, Santiago, Buenos Aires and Sao Paulo.